Helping cyclists understand the challenges heavy vehicle drivers face including blind zones and wheel tracking. 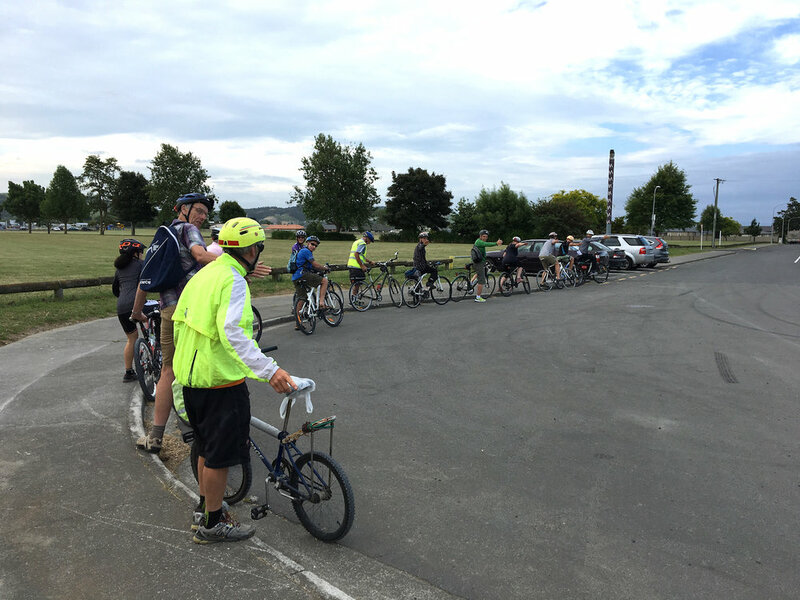 Share the Road workshops give people on bikes 3 key insights to stay safe when riding on roads where they may meet heavy vehicles. Our videos give an idea of what people on bikes can expect to get out of a workshop. Keep control of your bike and the situation. Ride to be seen and predictable. Candidate has typically had no other cycle skills lessons and is only confident using quiet roads and paths. Candidate is competent and confident using most roads, or intends to take part in an advanced cycle skills lesson run by another provider. These workshops are run with a stationary heavy vehicle to demonstrate key principles. Candidate is at a large gathering like a community ride or bike race. These events are run with a stationary heavy vehicle to demonstrate key principles.